Caring. Committed. Talented. The team at Country Valley believes that your pet deserves the best care there is. It’s why we get out of bed in the morning. Dr. Crystal has loved animals of all shapes, size, and types since she was born. Dr. Crystal is the practice owner and hopes to be around for many more years!. Her earliest memories surround petting cats and sitting on horses. She decided to become a veterinarian when she was 7, and it remains the only real choice for her. Dr. Crystal graduated from Cornell Veterinary University in 1996. She & her family moved from New Jersey to New York in 2006. Crystal spent a few years trying to find the right hospital to work for, and eventually decided that the best thing to do would be to open a practice of her own. Professionally, Dr. Crystal enjoys internal medicine, dermatology, Ultrasound, and practice management. In her spare time, Crystal loves hiking with her dogs, Rainy and Loki, riding her horse, Smokey, reading a book with one of her cats curled up on her lap, skiing with her son, Nathaniel, and playing tennis with her daughter, Katrina. She also enjoys time out with her husband, family, and friends, and doing almost anything active and outside. Dr. Stacey joined our team in 2015. 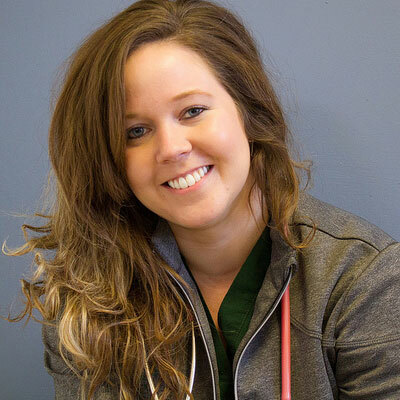 She graduated from the University of Illinois College of Veterinary Medicine in 2014. Dr. Stacey grew up in southern Illinois on a large farm where she developed a love for agriculture and animals! She would often be found as a little girl playing with the barn kittens. 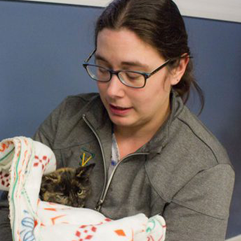 That deep love of animals is exactly the reason she decided to become a veterinarian. 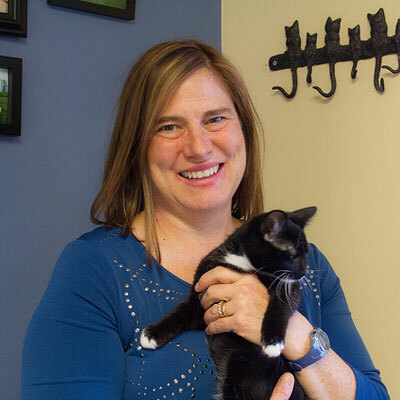 At CVVC, Dr. Stacey especially enjoys surgery, ultrasound, and even specializes in pot-bellied pigs! Really – she loves anything with a smush face – she has a Pug and an English bulldog of her own! 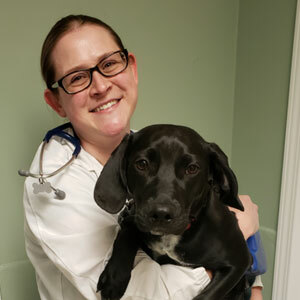 Dr. Stacey and her husband made the move from Illinois to New York after she graduated veterinary school, fueled by their love of the Northeast. Being from the flatlands of Illinois, they both love mountains and adventure out to hike and explore often. 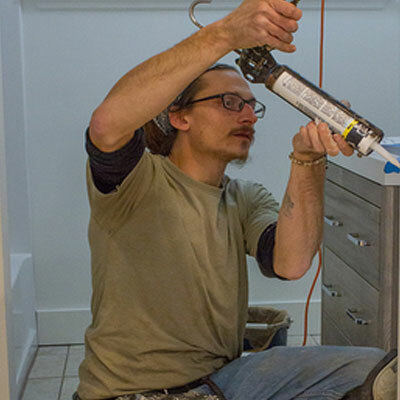 They – along with 3 dogs, a cat, and a newborn baby – reside in Ballston Spa, NY. Dr. Stephanie Rogers grew up in a suburb of Denver, Colorado. We are pleased to welcome Dr. Stephanie to our team this spring, 2019!. 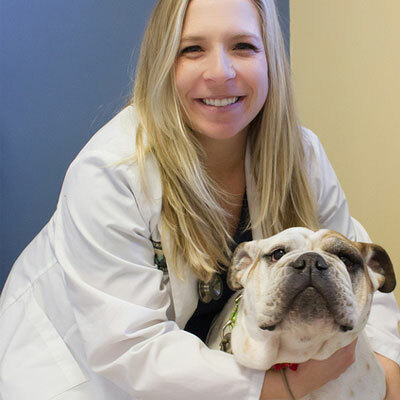 She received her undergraduate degree from Creighton University in Nebraska, and then graduated from the University of California Davis veterinary school in 2013. She worked in the San Francisco Bay area for five and a half years before moving to New York. 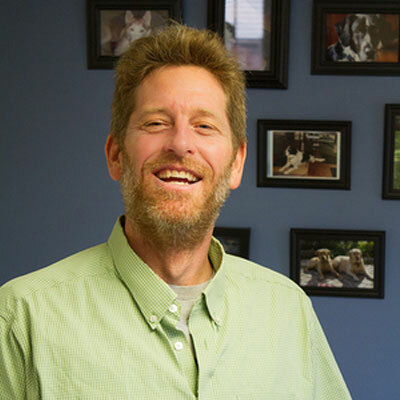 Dr. Rogers has a special interest in dentistry and canine rehabilitation. She spends her free time with her husband chasing after their son. They enjoy hiking and exploring all the area has to offer. They share their home with a hyperactive Lab named Vincent and cranky cat named Luna. Audrey is a Veterinary Technician who graduated with an a.a.s. in Veterinary Technology from SUNY Delhi in 2001. Audrey joined our team in 2013. Audrey was interested in the veterinary field at a young age because of her love of animals. It wasn’t until she was licensed that she understood how important her role as an advocate for the patients would be. Audrey has had many wonderful pets through the years. She currently has a 9 year old mixed breed dog named Tyler, who was a foster that became part of the family. She also has 2 guinea pigs, Willy and Caesar and 5 chickens. Audrey grew up locally and now resides in Meco with her husband and 2 daughters. In her free time she enjoys camping, crafting/scrapbooking and taking trips to the ocean. Abbey is a Licensed Veterinary Technician. Abbey joined our team in 2012. She is a graduate of SUNY Delhi and has been working in this field since she was 16 years old. The reason Abbey enjoys being a Veterinary Technician is that every day is unique. She adores all of the patients and loves getting to know their families. She knows that it is important to have someone you trust care for your pets. Abbeys’ family shares their home with cherished pets of their own, two dogs named Bunnie and Elvis, and a cat named Nora. Abbey likes to spend time with her family and friends and enjoys being outdoors. Katey joined our team in early spring, 2018 as an LVT. She first graduated from SUNY Morrisville in 2007 with a A.A.S in Equine Science and Management, and then went back and graduated in 2013 with a B. Tech in Equine Science and Physical Rehabilitation. She then graduated from SUNY Delhi in 2015 with her A.A.S. in Veterinary technology. Her professional interests include anesthesia, surgery and physical rehabilitation in both equine and companion animal fields. In her free time, she owns and operates a small equine boarding facility in Broadalbin called GreenLeaf Farm with her husband Joe and their 3 dogs, 2 cats, 2 horses and 6 Nigerian Dwarf goats. She also enjoys riding and snuggling with the fur kids. Amber is a Licensed Veterinary technician. Amber joined our team in early spring, 2018. 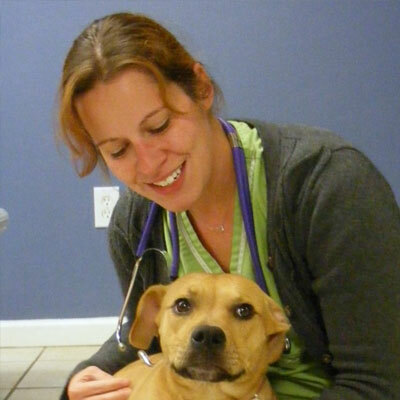 Amber started in the veterinary field in 2002 as a kennel worker in Glenville. She then attended the SUNY Delhi animal science technology program, graduating in 2007. Amber chose to work in veterinary medicine because of her love of animals and her desire to help them. Amber grew up in Scotia where most of her family still resides. Through the years Amber had many different kinds of pets including cats, reptiles, and rodents. Currently Amber has 2 rabbits, 1 fish, and 3 cats. In the Summer Amber likes to travel to New Hampshire and camp in the woods. Amber also likes to do crafts and to bake for her family. Fixer of all the things! Nicollette graduated in 2012 from Suny Cobleskill with a Bachelors Degree in Animal Science. Growing up on a dairy farm, she knew early on that she wanted to have a career in animal care. Nicollette has two dogs – Kora, a 3 year old Rottweiler, and Pixie, a 7 year old Pomeranian. They love to snuggle together and with her! Nicollette also has a small flock of chickens and 2 bunnies.Nicollette first joined our team in 2013. She moved out of the area in 2014, but when she returned in 2017, she came back to work with us again. She has a certificate in dog grooming and a strong interest in dog training and rehabilitation. In her spare time, if she is not reading a book with both dogs trying to fit on her lap, she will be hiking, fishing, or at the gun range. Adriana is currently attending SUNY Empire State College for her Bachelors degree in business management.Adriana joined our team in 2016. 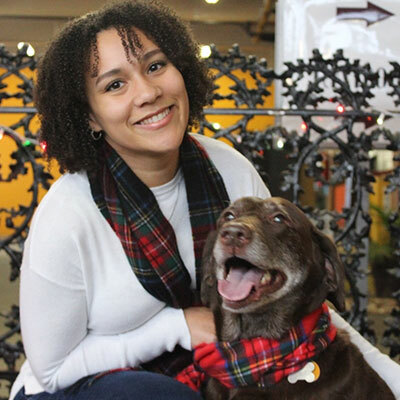 She found her calling in customer service even though her passion is animals – especially Labradors! 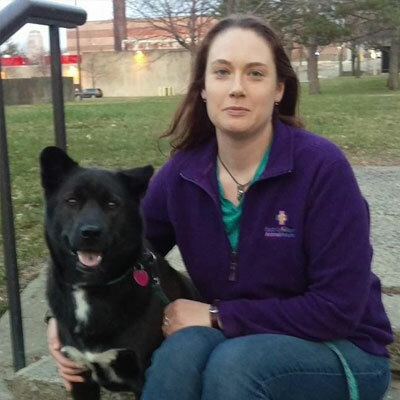 Adriana strives to learn how to provide the best care and client education to our clients for their pets! Adriana has an old chocolate lab named Daisy and an old lab-spaniel mix named Angel. She most enjoys walks with her pups and watching horror movies in her spare time. 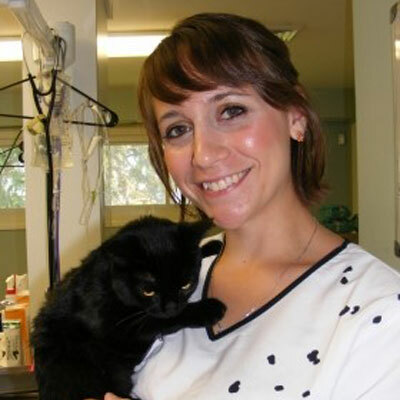 Brittany is a veterinary assistant who has been in the small animal field for over 12 years. She received her associate’s degree in Web Design from Hudson Valley Community College in but her heart has always been with animals. Brittany has been with us since the beginning, 2010 as it was forming and there is no where she would rather be! 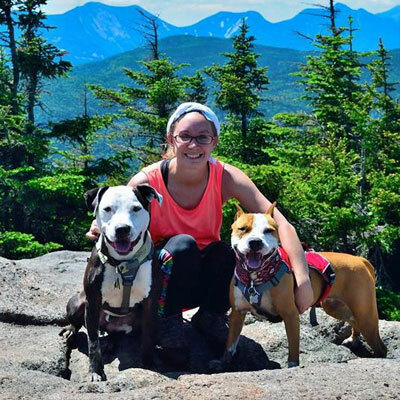 When she is not at the clinic, you can find her volunteering with the rescue organization Out of the Pits Inc, spending time with her two rescue Pit Bull Terriers (Petey & Momma/Jenny), camping, or hiking in the Adirondacks. Anne Marie joined Country Valley Veterinary Clinic part-time in 2011 and enjoys seeing all the interesting pets that are taken care of there. She has a degree in Business and has worked in the field for many years. Anne Marie lives in Stillwater with her husband and two rescue dogs, Max and Summer. 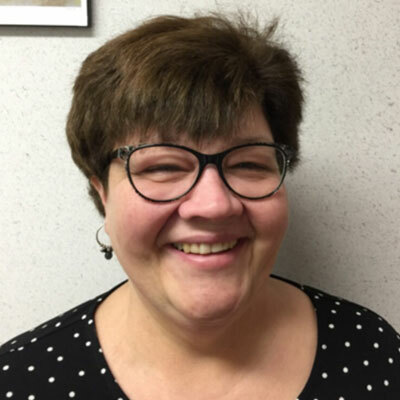 When she is not working at one of her many jobs, Anne Marie enjoys spending time with her husband and her three boys and their significant others. When they all get together they like to do outdoor activities. The family goes boating in the summer and they particularly enjoy hiking, fishing, and camping together. They also very much enjoy an annual vacation in North Carolina. In the winter months Anne Marie likes to cross country ski or snow shoe.